This wallet is a traveller’s best friend. 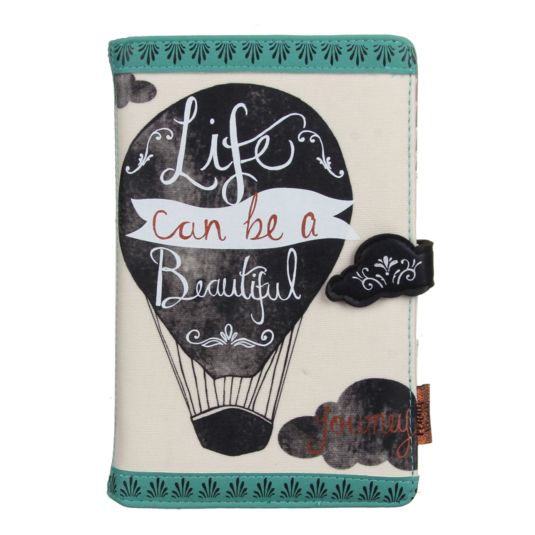 The front of the travel wallet features a distressed image of a hot air balloon, with text that reads Life can be a beautiful journey. 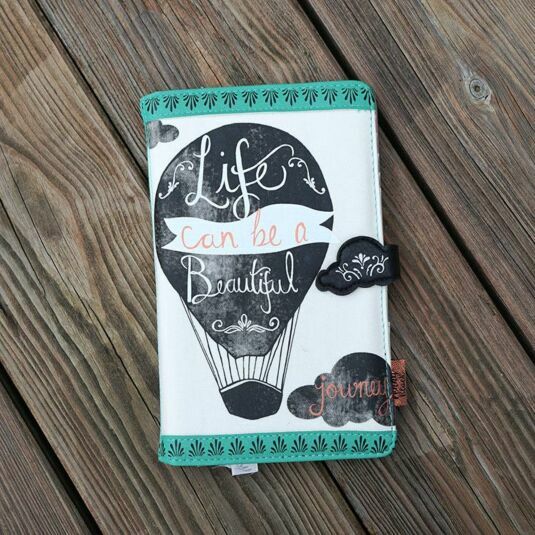 The interior of this travel wallet is large and extensively detailed, with a variety of useful compartments. 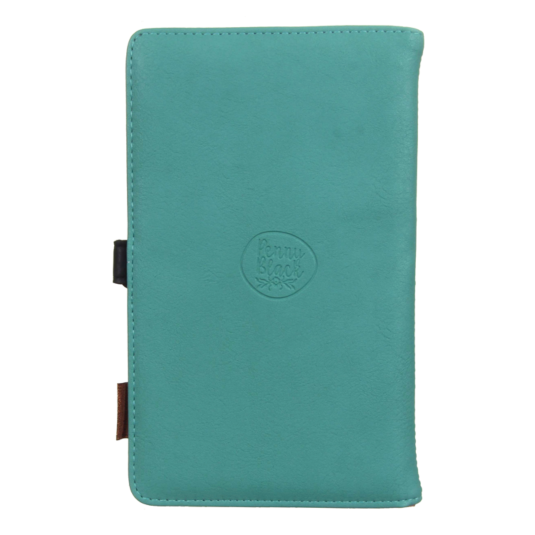 On the left hand side, it has a total of nine card slots, including one inside a clear compartment, for an ID card. Also on the left hand side are five large compartments for travel documents. These compartments have labelled tabs, including “hotel”, “documents”, and “tickets”. 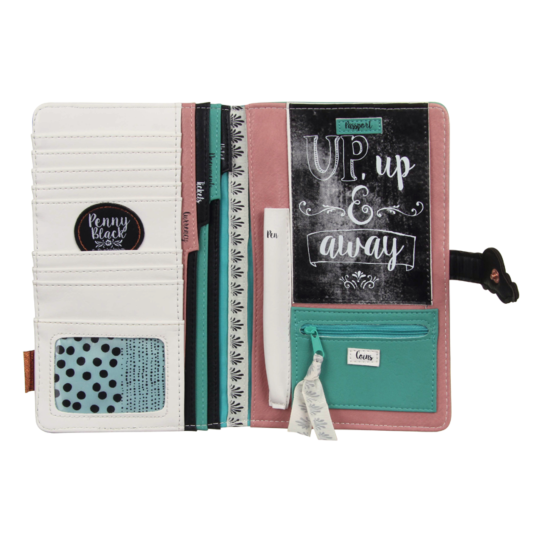 The right hand side features a small fabric compartment for a pen, along with three other compartments; a black compartment with text that reads “Up, up and away”, a concealed section behind this, and lastly a small zipped coin pocket beneath, in a teal-coloured fabric that simply reads “coins”. Combining vintage styled black printed illustrations and intricate copper foil detailing, this quirky range from Disaster Designs focuses its designs around everyday activities and objects and matches them with positive phrases and text to ensure this range of bags and accessories lightens up everyone’s day! This Penny Black range would be the perfect range for the modern day women to use throughout her daily life, creating a smile and laugh along the way!